Protecting your two wheeler with insurance is now a mandatory requirement. Hence, it is imperative to invest in a health insurance plan that gives you maximum benefit and covers your expenses in case of unforeseen situations. ICICI Lombard provides comprehensive two wheeler insurance plans that not only cover the rider but also provide optional coverage for a co-passenger. The company also provides protection against damages from burglary, riot, strike and other manmade calamities. They offer their policy holders with a feature which sets renewal reminders thus saving the hassle of reminding the policy expiry dates. Co-passengers are offered a personal accident cover. A digitally signed Copy of your policy is available to you with an few minutes of applying the policy. They offer cashless claims services with a network of about 1700+ cashless garages spread across India. The policy holder can avail NCB benefits if they have been driving safely without making any claims in their previous policy year. Protect your two wheeler against damage or loss caused due to natural occurring calamities. It safeguards your two wheeler by offering a cover for frost, hailstorm, cyclone, tempest, inundation, fire, explosion, self-ignition, lightning etc. This policy offers a personal accident cover to the owner/driver of the vehicle up-to 1 lakh. It also offers an optional coverage for co-passengers and can be opted while buying the policy depending on your specific need. It safeguards your two wheeler against manmade calamities as well such as theft, burglary, riot, strike, terror attacks etc. It also offers protection and compensation against third parties liabilities if involved in an accident resulting in their injury, death or property damage. If the two wheeler is damaged by a person driving without a driving license. If the two wheeler has incurred a loss or damage by a person who was riding under the influence of liquor or alcohol. Two Wheeler depreciation or any substantial loss . Damage or loss of the two wheeler caused due to nuclear risk, mutiny or war . Two wheeler has suffered electrical or mechanical breakdown. Cashless Garage Network -The Company has a network of around 1700+ garages. The following are some of the unique add-ons offered on two wheeler insurance from ICICI Lombard on payment of an additional amount over and above your premium for the basic plan. Co-passenger – While the owner-driver is insured by the basic plans of two wheeler insurance from ICICI Lombard, the co-passenger can be protected through an add-on cover. Electrical and non-electrical two wheeler parts – This add-on cover insures electrical and non-electrical parts of two-wheelers. Seat cover - This add-on feature enables the policyholder to avail the reimbursement for the cost of replacement for the seat and its cover, in the case of it being damaged as a result of an unexpected event. Lights – This rider is especially designed to cover the expenses incurred towards the repair and replacement of lights and light-related parts. Bi-fuel – This add-on rider is tailor-made for protecting the insured two wheeler’s bi-fuel kit from any damage. In case of an accident or a vehicle breakdown, the insurance company provides the needed assistance to get the vehicle back to a normal state. The policyholders can also avail cashless repair facility to repair the insured vehicle. In case the vehicle is repaired in a non-network garage, the reimbursement can be claimed for the cost of repair from the insurance company. The claims can be registered and tracked online using the ‘Lodge a Motor Claim’ service on the official website. However, the service only handles accidental claims as of now. Take note of the vehicle details of any other vehicle involved in the accident. Note down the contact details of the witnesses if any. Call on the toll-free number of ICICI Lombard, share the details of the accident, and get the claim registration number from the claim executive. The claim executive will also provide details of the documents that need to be submitted to process the claims. File an FIR at your nearest police station in case of theft, major damages, or bodily injury. After registering the claim, the Customer Service Manager (CSM) will get in touch with you within one day of making a claim. Submit the required documents to the insurance company and get them verified with the original documents. After assessment, the CSM will get an estimate of the repairs needed and will approve the same. In case of repairs done at the cashless garage, the insurance company will settle the payment with the network garage. The CSM will ask you for any additional payments that need to be made by you. ICICI Lombard General Insurance, from the house of one of the most renowned banking companies in India – ICICI, is synonymous with a range of two wheeler insurance policies that are customised to suit varied requirements of their customers. Not just that, the add-on covers further enhance the effectiveness of two wheeler insurance from ICICI Lombard. What’s more, the streamlined processes, quality of services and quick solutions make ICICI Lombard earn its goodwill in the insurance market. 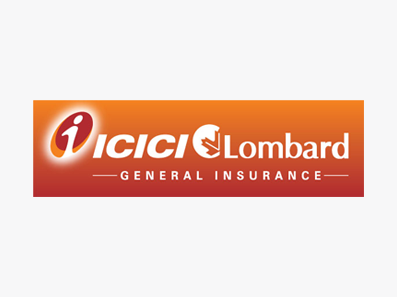 What does ICICI Lombard two wheeler insurance cover? Loss or damage to the insured two wheeler against natural disasters like earthquake, storm, cyclone, landslide, rockslide, flood, etc. Loss or damage to the insured two wheeler against manmade disasters like theft, riot, terrorist activities, and damage during transit by road, rail, air, waterway, lift, etc. Personal Accident Cover of up to Rs. 15 lakhs for the driver of the insured two wheeler while travelling, and specific other situations like mounting and dismounting from the two wheeler. Add-on riders offer the same coverages to co-passengers as well. Third Party Legal Liability offers financial protection against accidental damages resulting in permanent injury or death, as well as damages caused to surrounding property. What are the documents required for making a claim on two wheeler insurance from ICICI Lombard? What are the exclusions of ICICI Lombard two wheeler insurance? Loss or damage due to reasons like war, nuclear risk, etc.